"Sitting chained up in the back of a hot van last summer, I mentally prepared to die"
West County Detention Facility in Richmond. In July of last year, nine women were transported between detention facilities in a hot, windowless van without adequate food and water, the American Civil Liberties Union of Northern California claimed in a lawsuit filed Tuesday. The suit demands the release of information about U.S. Immigration and Customs Enforcement and its contract with G4S Secure Solutions, the company providing transportation services for detainees, according to the ACLU. The ACLU said the nine women spent more than 24 hours being moved from the West County Detention Facility in Richmond to Mesa Verde ICE Processing Center in Bakersfield during last year's summer month. One of the detainees, 38-year-old mother of three Floricel Liborio Ramos, recounted the trip in a blog post to the ACLU: "Sitting chained up in the back of a hot van last summer, I mentally prepared to die." 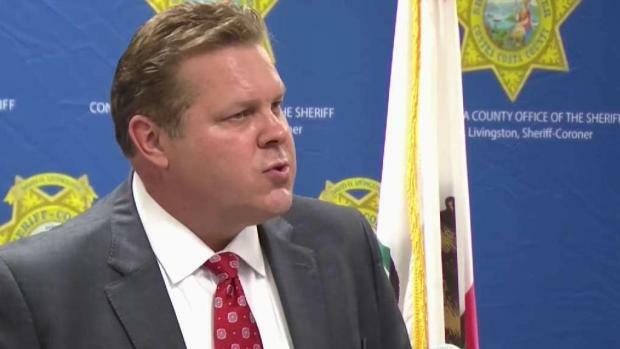 The Contra Costa County Sheriff's Department will cancel its profitable contract with federal immigration officials to house suspects facing deportation, authorities said Tuesday. Damian Trujillo reports. Ramos wrote that she and several other women were taken from Richmond to the ICE office in San Francisco where they waited for several hours in a cold room with metal benches. She said the women were later transported to Gilroy. Two white vans with no windows that "looked like they were used for animals" awaited them, one for men and one for women. A spokesperson for ICE in the Northern California Region, Richard Rocha, told NBC Bay Area that ICE doesn't comment on pending litigation. "ICE provides safe and humane for (sic) conditions for allindividuals (sic) in our custody and adheres to rigorous national standards regarding the transfer of detainees," Rocha said in a statement. G4S Secure Solutions did not respond to a request for comment by the time of publication. The ACLU suit comes on the same day Contra Costa County Sheriff's Department announced that it's ending its contract with ICE to house immigrant detainees at the same Richmond facility. ICE pays Contra Costa County $6 million a year to jail up to 200 people a day believed to be living in the United States illegally, according to the county's sheriff.